Sony is a diversified technology giant that includes consumer and professional electronics as well as gaming and entertainment. Chaos has worked with Sony Professional Solutions Europe as well as Sony Imaging Sensing Solutions for a number of years. PSE and ISS are the B2B divisions covering everything from professional cameras and outside broadcast, to security surveillance, business projectors, professional display technology and 4k HD cinema solutions. 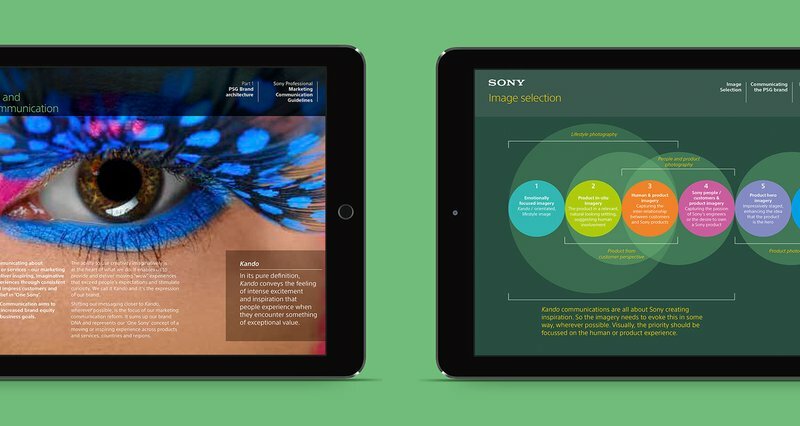 We’ve been supporting Sony for over 12 years on delivering brand strategy, creating brand guidelines through to internal comms and B2B advertising and marketing comms campaigns running across EMEA. 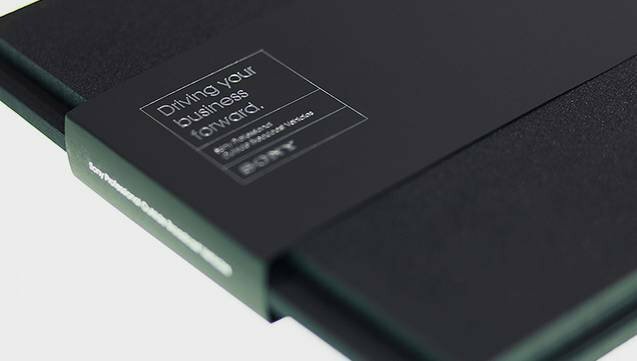 And we also created the global brand guidelines for Sony PSE. Sony Europe (PSE) wanted to internally communicate their new initiative, promoting equal opportunities for advancement regardless of gender. The initiative needed a high-profile internal communications campaign and a positive spin on a potentially sensitive subject. 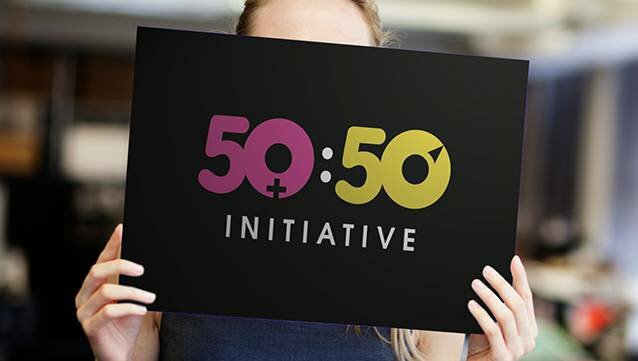 Chaos created a campaign using an iconic 50:50 logo based on male and female signs and backed by positive messaging. This helped to spread the love about diversity without starting a battle of the sexes. Chaos delivered an effective, consistent brand communications framework across all audiences, media channels and routes to market. Starting with their consumer facing passion, ‘Imagination made real’, we re-defined the brand architecture to deliver a more appropriate B2B proposition – "The Power of Imagination". A successful brand roll-out and interagency training across EMEA was required to ensure seamless adoption of their proposition. Brand consultancy ran for 18 months overseeing creative by other agencies to ensure consistency by all countries and agencies. 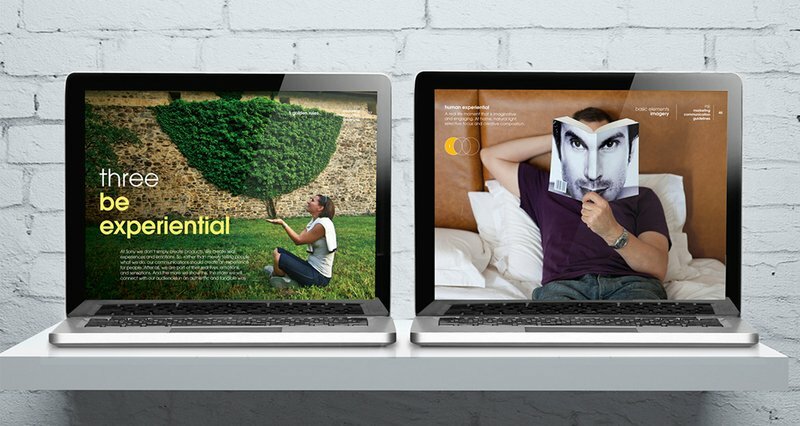 Sony engaged Chaos to create guidelines that developed a common language to articulate the B2B brand as well as create fresh and distinctive design templates to support their brand roll-out. The document and training took employees and agencies through the journey and provided easy-to-use tools to enrich and express Sony’s ‘Power of Imagination’. By showcasing real life examples of how to bring to life their proposition, we ensured stakeholder and employee engagement. Chaos were tasked with name creation to sit within the Sony Digital Camera business representing it’s new Premium Large Format (PLF) division. The name needed to stand out from competitors and pair easily with the existing Sony Digital Cinema logo. Consideration was also required that the name and ident work in tandem with established exhibitor brands and exhibitors brand solution guidelines. We created a number of routes with Finity being a clear stakeholder preference as it had stand out and was felt to be a one-off in the market, rather than a me too. The name is a derivation of ‘affinity’ and ‘infinity’ – affinity as Sony understands the marketplace and the pressures and needs of exhibitors. Infinity as it conjures the notions of large and has connotations of limitless. Guidelines were also created surrounding the launch. As well as creating the Sony ISS brand guidelines for EMEA , we’ve also helped this division advertise and market its range of industry leading component camera blocks and image sensing products to OEMs within the industrial, manufacturing, communications, security and medical sectors. So how do you spin a single story to many different audiences? That was one of the many challenges offered by Sony. How do you persuade influential industry insiders that your outside broadcast vehicles are the best? Chaos was required to create an easy-to-use site to house the guidelines, as well as an asset management depository. The objective of encouraging regional offices to share information regarding PR activity (which changed regularly) and advertising examples which could be adapted, in turn saved the business time & budget allocation. Chaos hosted, designed and built the site and managed the FAQ and ‘help' sections to support regional activity from a brand guardianship perspective. Successful multiagency and regional training of what was reported to be an intuitive system. From the analytics taken up and used across all regional offices, the project was deemed a solid success in aligning asset usage & storage.